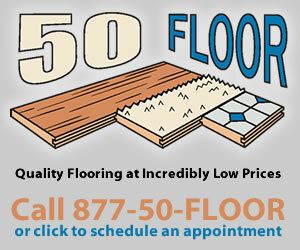 50 Floor is one of the fastest growing shop-at-home specialty retail flooring companies in America. Our success can be attributed to core values of customer satisfaction and using our buying power to offer the highest quality products at the best prices in our market. We have a unique approach to customer service in that we partner with customers through each step of the selection process. This starts with our sales associates meeting customers in their own home to provide flooring options tailored to that individual customer’s needs all the way to calling after installation to ensure our customers were 100% satisfied with their experience. A family owned business, 50 Floor is "home grown" in Atlanta, Georgia and committed to maintaining a local business feel in all locations across the nation. We achieve this by maintaining a "small company culture" and keeping in touch with the individual communities where we do business. This was the second room we had 50 Floor install Hardwood in and I love it. Alex and his co worker were so amazing and so professional. The work was done quickly and it looks perfect. 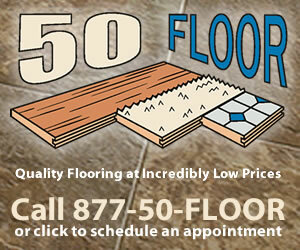 I will definitely have 50 floor install flooring for me again. Fifty Floor - We are very happy with our laminate as well as the carpet..the crew did a quick fantastic job..A special thankyou to Natalie in Orlando fl for going out of her way to help us resolve any issues..
Fifty Floor - Bill is awesome! Respectful and very knowledgeable! Fifty Floor - We are so happy with our new flooring! The installers, Miguel and crew, were incredibly top-notch. You could tell how very experienced they were, as they delivered high-quality workmanship. They are professionals, and I highly recommend them.